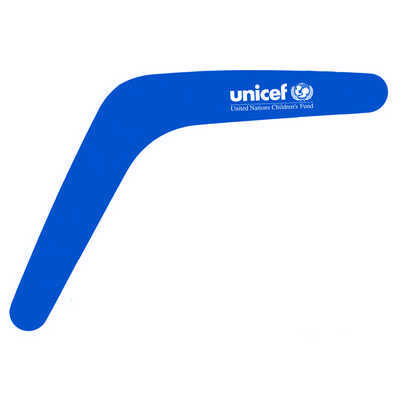 An Australian style plastic boomerang. Made of PP Plastic. Colours: Red, Blue or Yellow, Dimension: 266mm long. Price includes : 3 Day Service* Pad Print - One Colour/Location. Setup is included.